Non-commercial service organizations in the Lower Mainland need software solutions to various problems in order to better serve their constituents. They could pay for those solutions, but that's money that could be spent in other ways. That's where you come in. 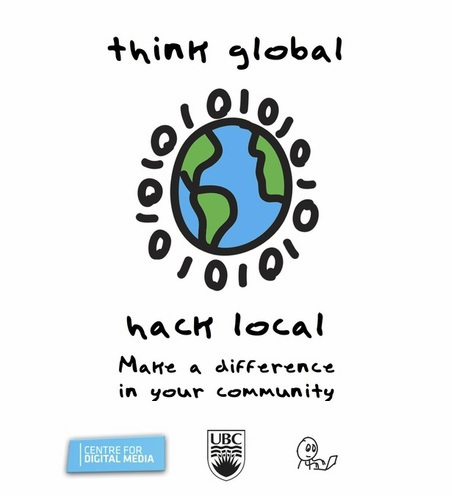 If you have software skills and a desire to make a difference, come join us at our next community hackathon. Keep checking back here for the dates. (MORE BREAKING NEWS! : Due to illnesses, injuries, and flooded apartments, among other things, we won't be running a hackathon on March 27-29, 2015. We're now looking for convenient weekends in the summer. Stay tuned.) Representatives from local service organizations will pitch their projects to our student developers Friday evening, the students will select the projects they want to work on, and then it's a weekend-long drive to create something amazing for our NCOs. You'll get to sharpen your software development skills, you'll meet like-minded students, you'll end up with a story and some software that might impress prospective employers, and best of all, you'll be helping out in a way that only hackers can. But wait, there's more: we'll feed you for 48 hours too! Please join us. We look forward to seeing you. The stunning panoramic photograph of the Vancouver skyline shown at the top of this page is the work of award-winning photographer Chris Collacott, who has graciously allowed us to use his work here. You can view, and purchase, his work at his website www.avision.ca.